African Mango diet: The seeds of the African mango are very powerful. A lot of specialist amongst who is also the famous and respected Dr. Oz (Dr oz) claim that African mango can increase metabolism and can stimulate the body to burn fat more effectively. African Mango 1500: The Irvingia Gabonensis, or Wild African Mango is mainly native to Africa and South-East Asia, growing on a tree which fares best in dense, green rainforests along river beds. As opposed to various other species of mango, it has become apparent that the seeds of this African variety (also known as dikka nuts) possess unique qualities which stimulate metabolism and burn body fat. It's known as the best natural weight loss product ever discovered up to now for a good reason! African Mango diet: The seeds of the African mango are a unique ingredient which according to many, including the widely respected American Doctor Oz, increases the speed at which body fat is burnt and increases metabolism in the body. Our diet capsules contain 10:1 extract of the African mango seed and are 100% organic. African mango may also contribute to increasing Leptine sensitivity. Leptine is a hormone which amongst other things, aids in lessening “hunger signals” in the body, which may result in a reduced appetite and/or feeling of hunger. 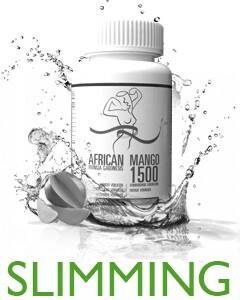 African mango makes weight loss easier without using stimulating products or having to follow dangerous crash diets. 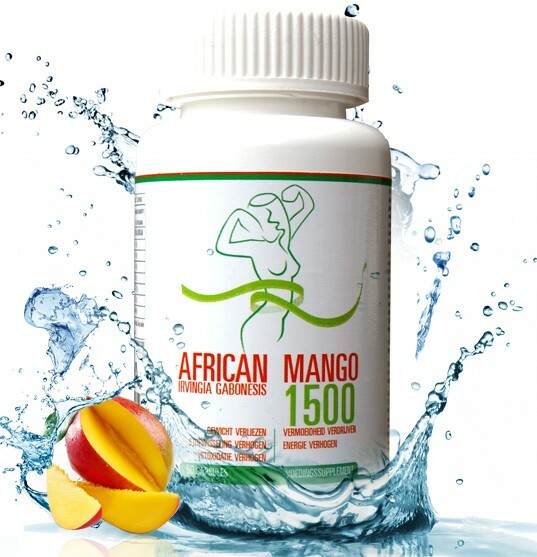 African Mango 1500 capsules may support you in reaching your goal, but weight loss obviously starts with a healthy and varied diet, and plenty of exercise. African Mango 1500 can be used in combination with Green coffee 1500 and lead to a better result due to their synergetic effect. 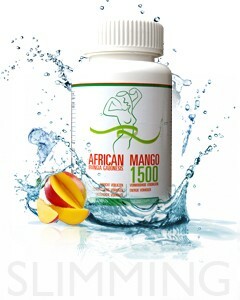 Take 1 capsule of African mango 1500 with water once or twice daily during or after a meal. Do not exceed daily recommended dosage. African mango 1500 can be used alongside Green coffee 1500 and lead to better results due to its synergetic effect. We recommend drinking at least 2 litres of water a day. Eat 3 meals a day. Your appetite may lessen, but it's important that you don't skip any meals. Instead of skipping meals, it is better to take smaller portions. 60 capsules African mango 1500 for every jar. Depending on the daily usage, 1 jar of African mango is enough for 1 up to 2 months. Important: Not suitable for persons under 17, people who suffer from heart disease, high blood pressure and/or diabeter. Do not use during pregnancy and/or while breastfeeding. If you experience sensitivity to one of the ingredients in this product, are taking medication or are otherwise unsure if this product is for you, it is recommended to seek advice from a medical professional. * This product is not meant for diagnosis, treatment or prevention of ailments. Dietary supplements are not a substitute for a varied diet.